Hi! My name is Marianna Pizzini, but I go by Mari! My hometown, where I was born and raised, is Helena, Montana. I have a deep love for my state and am really missing the smell of pines and the sunsets we get. I love my dog, Ellie May, more than I love ice cream or writing, which is a lot because both of those things mean a great deal to me. I came to Morningside in pursuit of a Major in English, as well as a spot on the Mustang bowling team. I have recently tacked on three minors to my degree goals: American History, Journalism, and General Psychology. 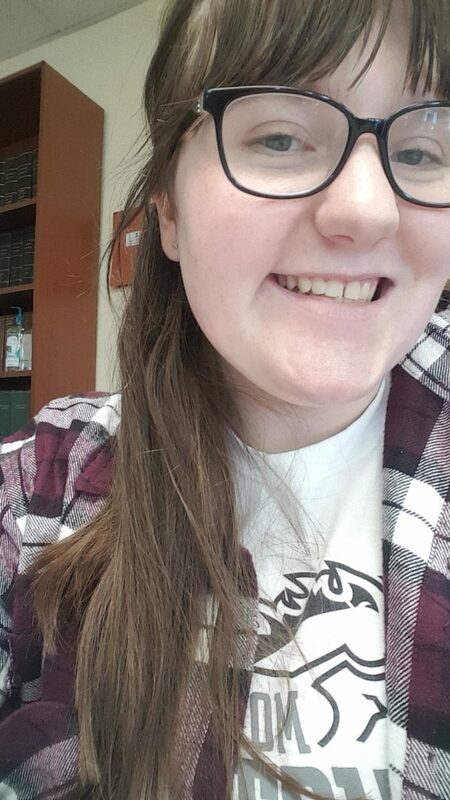 I am the Vice President of Alpha Lamba Delta, I am a member of the Connie Wimer Women’s Leadership Program, I am a mentor for Morningside’s Second Year Experience, and am a Writing Consultant as well! I like to stay fairly busy, as you can probably see. I recently (in the summer of 2017) took a trip to Alaska, which became the 50th state that I traveled to! I hope to make a trip to Italy and Greece this coming May, as well as to California in June. Well, that is just a little bit about me. I cannot wait to see where my journey will take me, and I hope you follow me as I find out!